This event is Sold Out, please email info@thehatchery.club to be placed on the waiting list. How many hours have you spent monkeying around in MailChimp, setting up contact lists and scheduling emails? When was the last time you personally welcomed a new email subscriber who signed up for your newsletter, or followed up with a customer after they made a purchase? The key to managing your time on any email platform is setting up automated triggers and "drip" email campaigns so that you can let it run with minimal effort. 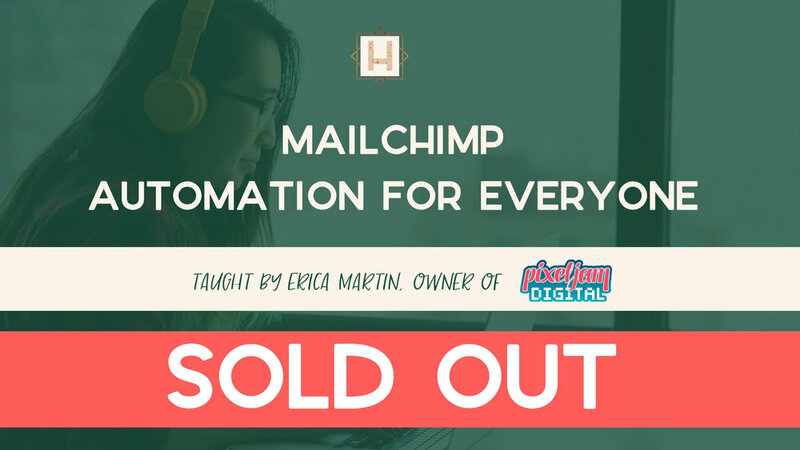 Fortunately, MailChimp offers free email marketing automation to everyone! -Link your MailChimp account to your website (whether it's on WordPress or Squarespace). -Automate welcome emails to new subscribers, with an optional follow-up series. -Auto-tag your contacts so you know when and how they subscribed, which can be used to populate email segments. Students should have an existing website (WordPress/Squarespace), and a MailChimp account with at least one contact list.